French artist Mylene Farmer unveils cover and track listing for 10th studio LP. 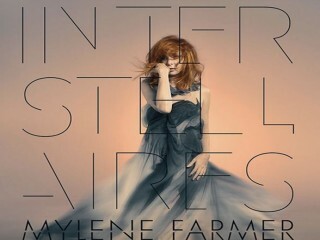 French artist Mylene Farmer recently unveiled the cover art and the track listing for the upcoming 10th studio material Interstellaires. While the cover sees the artist who’s been working with Lady Gaga or Sting, wrapped in some dreamy silk dress with her hair floating in the wind, the track listing includes 11 songs, some which are in French, of course. Though was said to be entitled either Constellations or Nébuleuses, the new record was confirmed by Polydor to be titled Interstellaires. It is produced by The Avener and Martin Kierszenbaum.